The battle of Ancre took place in November 1916. However for the 51st Highland Division it will be remembered as the Battle of Beaumont Hamel. Beaumont Hamel had been attacked on the first day of the Somme. The attack had failed and the heavily fortified area was regarded as almost impregnable. The attack was to be carried out by the Fifth Army with the 2nd Corps South of the River bank and the Vth Corps north of the river. The Vth Corps attack would have the 63rd Division on the right 51st Highland Division and 2nd Division in the centre and the 3rd Division on the left with the 37th Division in reserve. The objective ran from the village of Beaumont Hamel south east to a ‘Y’ ravine. The latter was a heavily fortified ‘Y’ shaped ravine with steep sides running towards the British line. There was a second valley down which ran the old Beaumont Road. To assist in monitoring progress of the attack there were a number of report lines the first objective being green and a second yellow. There were also intermediate report lines red, blue and purple. The attack had been originally planned for 24 October but because of the appalling weather in particular torrential rain, there were a number of delays until the attack was eventually scheduled for 13 November. "The attack was originally planned for 24th October, but owing to the weather a succession of postponements took place. The first postponement was until 30th October; on 25th October a further postponement of forty-eight hours was ordered. On 29th October the date of the attack was changed to 5th November. Later, it was again postponed to 9th November, and again to 10th November. On 7th November information was wired that the attack was indefinitely postponed. On 10th November it was ordered to take place on 13th November. On 11th Nov­ember the hour for zero-that is, the hour at which the infantry advance begins-was selected as 5.45 A.M. [on 13 November]". General Harper commanding the 51st Highland Division, had been urged to conduct the attack on a three brigade frontage however it was his judgement he would do better to have a phased attack with a reserve and therefore determined to advance the two Brigades up, 152 on the left, 153 on the right and 154 Brigade in reserve. Because the attack had been planned to be launched earlier wire cutting using artillery and to 2 inch mortars had begun in late October. Patrols reported that this was very successful. Details were kept on the extent of the damage and where the route had been clear. 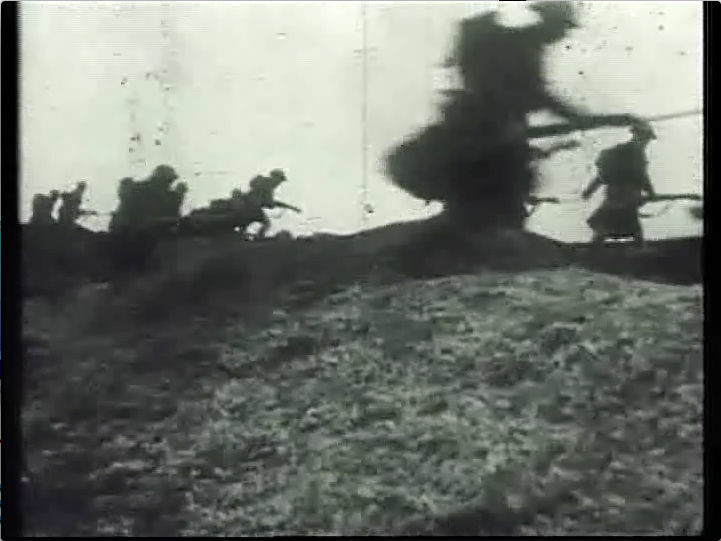 During the preparations before the attack a number of raiding parties and patrols were launched into the enemy trenches with the task of determining what units the attack would face. This was particularly important as it will gave a clear indication of the extent and numbers on the enemy defenders. In Major Bewsher’s “The History of the 51st Highland Division” there is a very clear example of what this entails. As has already been stated, in the days before the attack the weather had been atrocious and the ground had become a sodden mass. The move forward to the start line during the night was difficult and those that arrived there first had a long wait as the rest move slowly into position. At 5:45 a.m., the time selected to begin the attack, a mine was exploded as the signal after which an intense bombardment of the German position began. There had been no preliminary bombardment which would have risked giving away the preparations for the attack. There was a thick fog on the morning and this helped with the concealment and delayed the response of the Germans. The progress behind the barrage was deliberate and slow. The state of the ground made it impossible to move quickly and the rate of advance was about 25 yards a minute. There was stiff resistance but by 7.50 a.m. both brigades had reached the third line although pockets of resistance, emerging from tunnels, were still behind them. “Y” ravine proved particularly stubborn and despite progress elsewhere it took all day to overcome the resistance here. Elsewhere the attack had reached the Green line and in one case continued in the direction of the Yellow line. However the casualties had been too heavy for a sustained attack to the Yellow line and they fell back to conform to the flanking movements. The night was spent consolidating the position on the Green line and preparing to continue the attack the next morning. On 14 November further attacks were made in conjunction with 2nd Division which culminated in the taking of the Munich Trench just short of the Frankfurt Trench on the Yellow line. During 15 November 154 Brigade took over the line from 152 and 153 Brigades and on 17 November the Division was relieved by 32nd Division. “The 51st Division leaves this Corps tomorrow to take place in another part of the line, and although this postpones a well earned rest it is also a sure sign of the very efficient state of the division that it should be called upon to do this by the army after its recent splendid fight. It is evident in the newspapers that all the world looks upon the capture of Beaumont Hamel as one of the greatest feat of arms in the war, and those who know the ground and the defences it must ever be a marvellously fine performance.